Welcome to the Kastamonu 2011 weblog. This weblog is maintained during the official EPMagazine meeting at Kastamonu during 21 till 28 July 2011. We hope you’ll enjoy this weblog. Four days ago we, the Italian Editorial Board, arrived from Istanbul after a long bus ride to Kastamonu, the city of our meeting. Differently from our last meetings, we're being hosted in a University dorm structure. The meeting so far has presented many interesting stuff, starting from the first, long day of real meeting to the trip to the Black sea we took the third day, yesterday. The first day we went from the dorm to the school that host us in Ihsangasi, and we meet the governor of the city. He was really nice with us, and remarked the fact that we were the first European project to be hosted here. He also remarked the possible collaboration between Turkey and Europe, and how many things could be obtained from this collaboration. To him we say thanks for the hospitality and the help he gave to our meeting. After the governor left, we had some talks presenting the different countries of EPM, such as Bulgaria, Greece, Turkey, Romania and Italy. 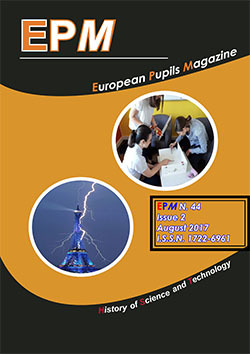 The following talks were focused on the magazine, since we talked about the evolution of the magazine, the problems we had, problems about our EPM Award and many other talks. After a long day of talks, we finally had a Turkish dinner at the school cafeteria and then we left for the dorm. The second day of meeting we also woke up early, and we went back to school to complete our talks. It was a very important moment for the future of EPM, since a lot of problems and issues has been raised and the future of EPM has been discussed. In the afternoon we took a little trip to a village and we visited a local mosque. The third day, yesterday, we took a 3-hours drive to the Black sea, where we ate some fish and meat (which was good, but the fish gave some of us some problems we don't want to talk about now (!) ). We also had the beautiful experience of swimming in the Black Sea, with some teachers as well. In the end we also visited a cliff, where we took the traditional group photo (which, if I'm not wrong, should already be online). We finally took off for Kastamonu again, arriving at night. The forth day, a.k.a. today, started just couple of hours ago. We woke up at the usual time, then we took the bus, and now here we are, working for you, in the school laboratory during Rick's laboratory writing this little report of the meeting as it is so far. The meeting is always a important moment for the magazine, not so much for the trips, but for the discussion about the magazine and the friendships that forms with other EPMembers, which helps us work together as a big unite family (of course, as all the families, with some fights and reunions, with some happy moments and reflection moments). The meeting, which for many of us was the first one, will always remain in our memories, for how "incredible" it is, in all the meanings you can think about. Greetings from the Italian Editorial Board of EPM!!! This is our last day here in Kastamonu and it is really hard to realize that this trip with so much experience will end...We made many relationships and we will absolutely anticipate the next meeting!! !Thanks to the EPM team we visited Turkey for the first time and knew people from other European countries. The day started with a little bit suprise because the cafeteria was closed and the participants did not have breakfast..So we had all breakfast on the way to Cide which has the longest the coastline as 13 km. After a long voyage, we finally reached there ..Started the day there with a nice lunch as a full plate of fish..really perfect..then went to the beach for swimming..The water was so nice to swim..After that, we saw Gideros Bay from a nice view..On the way to Kastamonu with full enjoyment, everyone was still so awake to cheat..
At 8.00 a.m. in the morning, all the groups got the bus to Ihsangazi while sleeping in the bus.As soon as we reached there, we had our nice breakfast.Then started to watch the presentations made by Italians before lunch. We had some discussions about the works that will be done in the future and decided to work all together as an editorial board..Then lunch..We ate a very nice meal with watermelon..After that, we moved to a new school where the students made some lab activities while the teachers were gathering fort he next possible Project ideas..Hope to get a Grand from projects to see each other once again in the future..
After finishing the day, some participants decided to walk around and they reached a village where they got informed about Islam, a mosque..Sure it was worth to walk and get some fresh air..
After the dinner, it was time to turn back to Kastamonu with nice feelings in our minds..
Our first day started with a friendly welcome and a short breakfast at dormitory. After this, a bus arrived which took us to a school in Ihsangazi where in the beginning the governor of Ihsangazi (Kaymakam) gave a welcome speech to the participants. There we presented our projects and we had plenty of time to know students from Turkey, Romania and Italy. Before our presentations we were quite anxious, but both the encouragement of our teachers and the friendly environment helped us overcome it and realize that it was not as difficult as it seemed in the beginning. This introductory day helped new members become much more familiar with the EPM and old ones to warm up. We left the school at about 7.00 pm and with the same bus we returned to Kastamonu. Finally, at night the Greek team walked downtown Kastamonu. Our first impressions are excellent and we are optimistic that the forthcoming days will be as good as our first day. Today was the first day of the programme..Governor, kaymakam, came and welcomed all the participants with a nice speech..After all, he got some souvenirs from the participants..